Anchorage is expected to continue losing jobs in 2018, but not as many as it shed in the past two years. That's according to the annual economic forecast report for Alaska's largest city, presented Wednesday by the Anchorage Economic Development Corp. to a packed room of local business leaders at the Dena'ina Civic and Convention Center. Along with a forecast for the year ahead that expects employment to drop 0.7 percent in Anchorage in 2018, much of the talk at Wednesday's event centered on Alaska's persistent multibillion-dollar budget deficit. "We're going to see more job losses, about 1,000 less jobs in 2018, a third year of recession," Bill Popp, president of the AEDC, told the crowd. "We could have avoided it if the state had gotten its act together, but it is what it is." Preliminary estimates show Anchorage lost 2,100 jobs last year, according to the forecast report, which was prepared by local research and consulting firm the McDowell Group. In 2018, nearly every sector is expected to lose jobs again, according to the report. The exceptions are health care, expected to gain 600 jobs, and transportation, expected to add 100. Jobs in the oil and gas sector in Anchorage are expected to stay flat this year, the report said. "We believe the recession is going to peter out around end of 2018 or early 2019," Popp said. Job losses appear to be tapering statewide as well, the Alaska Department of Labor and Workforce Development said in its annual forecast. Speakers at Wednesday's event criticized state political leaders for the economic ripple effects of not having come to a solution for the state's huge budget gap. "All of us are weathering an economic low pressure system buffeted by the changing role of oil in our economy and by the failure of the state government to resolve the budget crisis," said Anchorage Mayor Ethan Berkowitz. State lawmakers have been grappling with the massive budget deficit for years now, after oil prices crashed in 2014. (For years, oil revenue constituted 90 percent of Alaska's unrestricted general fund revenue.) Alaska slipped into recession in late 2015 as a result. The budget gap is some $2.5 billion, and legislators haven't been able to agree on how to fill it. "There's an overhang on our economy that's creating uncertainty, destroying confidence, stifling investment and limiting our growth," said Ron Duncan, CEO of telecommunications company GCI. "It won't surprise you, it's been said many times today: It's the state fiscal situation." A McDowell survey of more than 330 businesses within the municipality showed that business confidence in the Anchorage economy is still pessimistic, but better than last year. The most important issue for businesses surveyed was the sustainability of a state operating budget. "In the face of this uncertainty, the private sector has substantially reduced investment and consequently employment has come down, which is what contributes to our current recession," Duncan said. 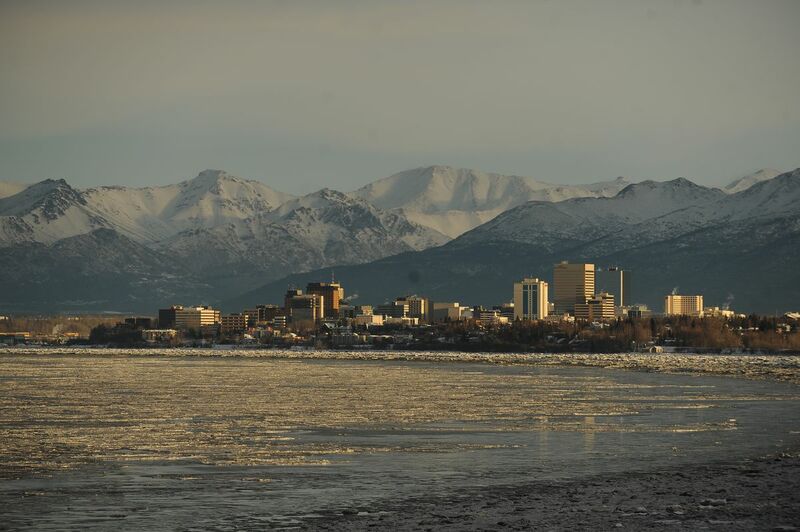 Anchorage is also expected to lose another 1,500 residents this year, according to the report.